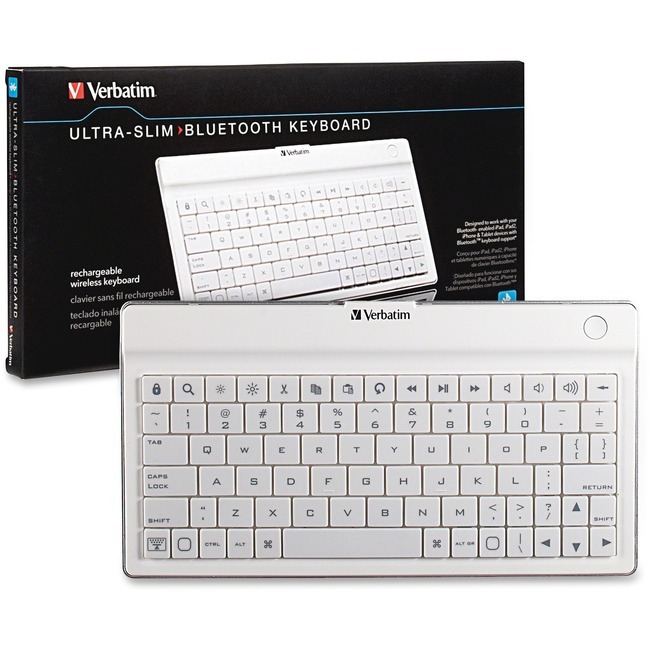 For tablet users on the go, Verbatim's Ultra-Slim Bluetooth Keyboard offers a stylish, thin design for the utmost in mobility. Designed to work with your iPad, iPad 2, and iPhone, along with other Bluetooth-enabled Tablets (with HID keyboard support), this keyboard features an ultra-compact design that readily fits into the included carrying case for exceptional portability and easy storage. The Ultra-Slim keyboard also eliminates the need for constant battery changing with its built-in rechargeable power source that is easily replenished via a USB-to-computer or wall-charger connection. You may also be interested in these other great products!